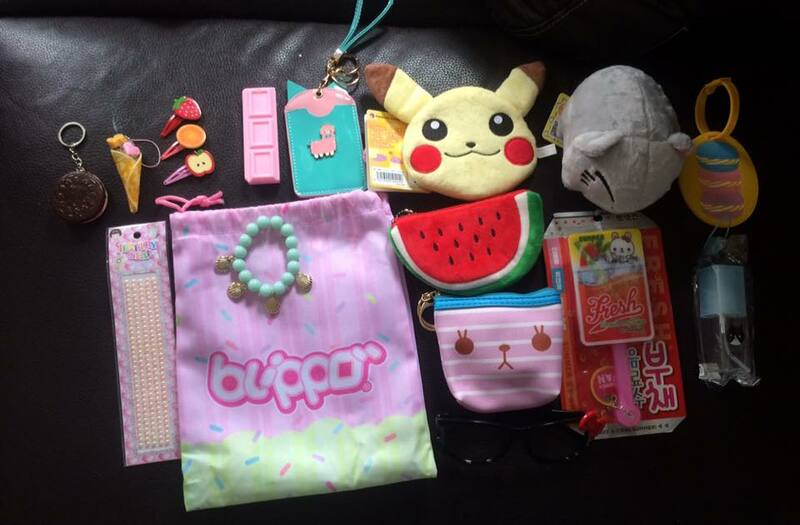 We was very lucky to be asked to review the Blippo Surprise Kawaii Bag on the blog. In Japan the Fukubukuro lucky bags are extremely popular, so they have created their own mystery bag. A cotton blippo bag filled with a least 15 cute and practical items inside. It’s also separate from our subscription boxes and does not involve any subscribing. So you can pick and choose when ever you would like a surprise bag in the post. Lexie was really excited to open the bag and check out the contents, the first she pulled out was the Hello Kitty geek glasses. 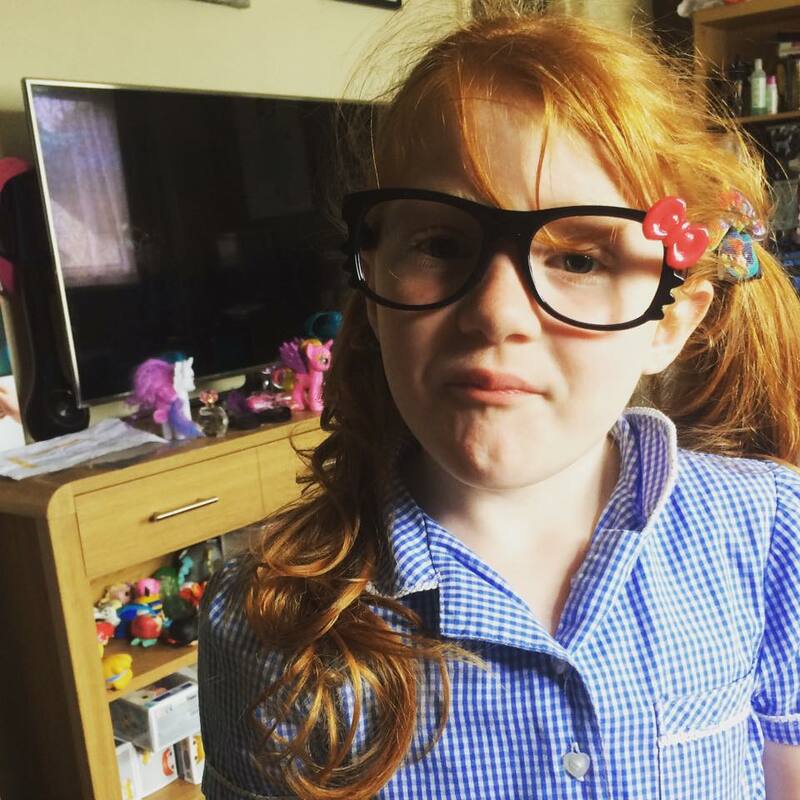 She's wanted some glasses for ages and these have been her favourite thing. Next was one of three purses, Lexie was thrilled with the idea but I'm not sure there needed to be 3 of the same sort of item in the bag. 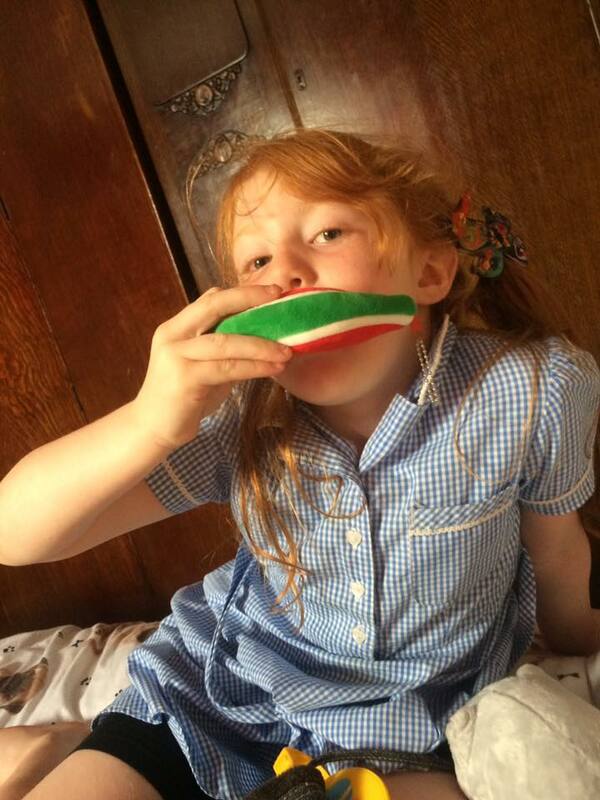 The watermelon slice was cute, and lexie loved Pikachu and the bear face stripy one too. The fruit shaped hair clips are perfect for school, along with the ice-cream cone charge and Oreo type cookie keychain. These have been popped on her school bag. The pink chocolate shaped bar doubles up as a mirror and comb, and the empty spray bottle is great for a holiday or Lexie has been using with it some water in to cool her down while fanning herself with the fan in the pool. The stick on pearl gems have been used to decorate her jewellery box, the macaroon luggage tag I think we will give to my sister as she travels a lot. The stretchy chunky shell bracelet and the soft plush fluffy cat have been a favourite Lexie has taken the cat to bed every night. The llama case, I'm not sure if it's a phone case or a card holder as it's a bit small for a phone. Click below to win you're own mystery bag. My girls would love this prize thank you! Cute little items that kids will love! My niece would love one of these boxes.